Enter for your chance to win a Walmart Gift Card! 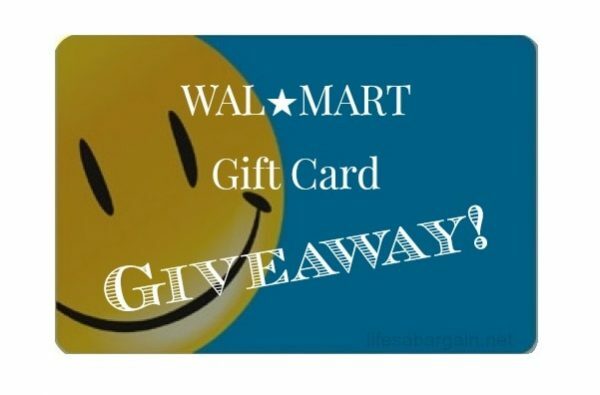 We’re ready to ease the tension on your wallet with this Walmart Gift Card Giveaway! You have a chance to take home a Gift Card, courtesy of us here at Life’s A Bargain! We’ve chosen a Walmart Gift Card for this giveaway because there’s always a bargain to be found there. Enter now and enter daily for more chances to win! The Walmart giveaway has ended, check out the giveaway above!